LAHORE (92 News) – Pakistan Tehreek-e-Insaf (PTI) candidate Asad Khokhar won the by-election from PP-168 in Lahore. According to the unofficial and unverified results, PTI’s Asad Khokhar secured 17579 votes and PML-N Khalid Qadri got 16892 votes. 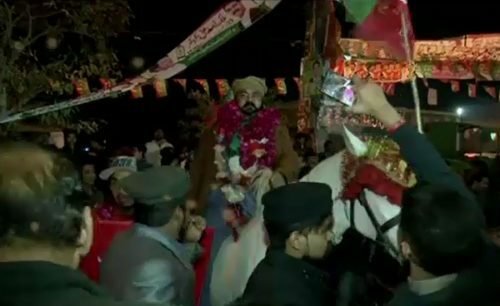 The PTI candidate defeated the PML-N candidate from the margin of 687 votes. 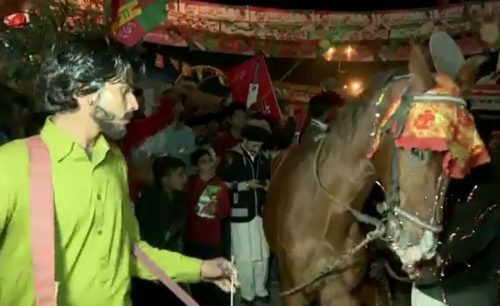 However, the PTI supporters held a fireworks display outside the office of Asad Khokhar celebrating his victory in the by-election. According to the Election Commission of Pakistan, there are 126,912 registered voters in the constituency with 83 polling stations set up for voters. As many as 11 candidates are in the race, while a tough contest was held between PML-N’s Khalid Qadri and Malik Asad Khokhar of the Pakistan Tehreek-e-Insaf (PTI). The polling was started at 9:00am and ended at 5pm. The political parties have made arrangements for breakfast at different places. It is pertinent to mention here that the seat was vacated by Khawaja Saad Rafique. The stringent security arrangements have been made in the constituency. The Rangers and police jawans have been deployed at all polling stations.